Product prices and availability are accurate as of 2019-04-18 17:24:28 UTC and are subject to change. Any price and availability information displayed on http://www.amazon.co.uk/ at the time of purchase will apply to the purchase of this product. 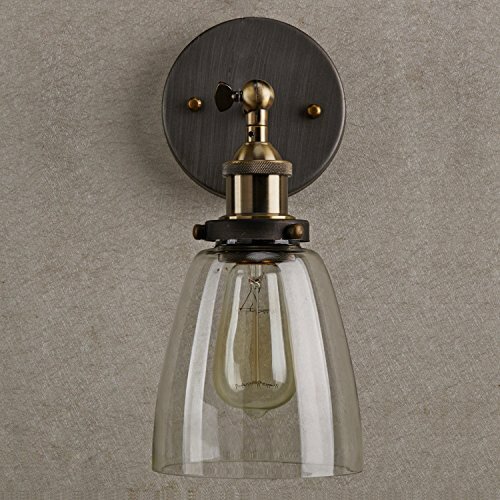 The Light Store are pleased to present this Industrial Edison Wall Sconce Glass Shade Light Fixture by KLSD . Check out the ratings and read reviews to see what customers are saying about the Industrial Edison Wall Sconce Glass Shade Light Fixture by KLSD. Shop online today and have it delivered to your door. Measurements: Diameter:15 cm( 5.9 inch); Height: 22cm( 8.6 inch) Cap Type ? 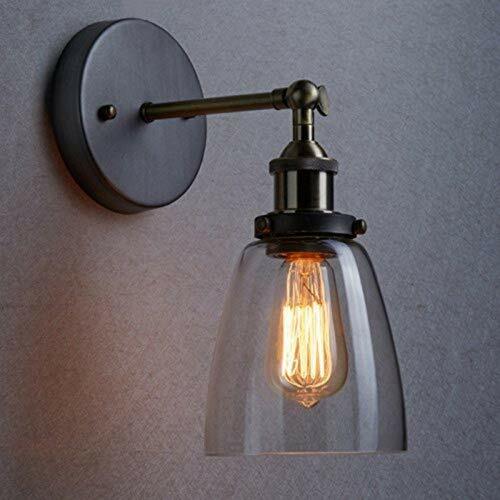 E27 Material: Metal/Glass Wattage per Bulb: Max 60W (Bulb Not Included) Color: Black. 3. Ideal for any Bedroom, Living Rooms, Kitchen Bar, Café, Hotel, Office, Reception area or Restaurant. This glass pendant lamp always looks awesome whether used as a single pendant or a cluster put together to create a brilliant decorative lighting effect. 4. 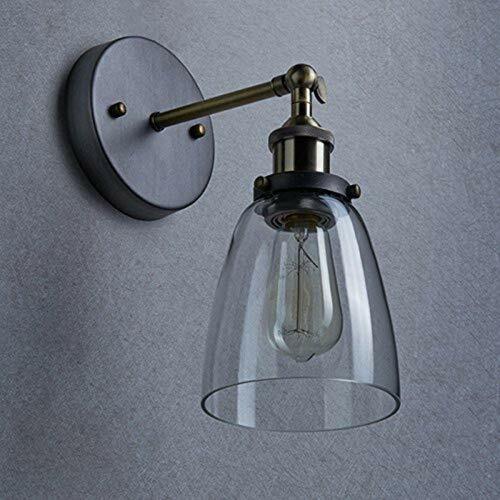 Simplicity edison industrial hanging light fixture; Comply With UK satety standard;Simplicity edison industrial ceiling light; Beautifully showcase the warmth of Edison-style filament bulb. 5. Fashion style,safe and easy installation, durable use. Pay attention to wash it, and just to wipe it with dry cloth dipped in water.